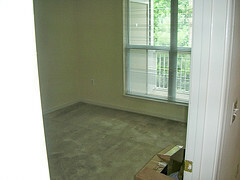 Home Staging Riverside County, CA: Selling a VACANT HOME is like selling an EMPTY BOX!!!!! What many sellers of vacant homes do not realize is that the price of staging their home is often less than the first price adjustment they make. It's all part of marketing and showing the home at its best. I agree that there are MANY types of home sellers and that everyone sees things differently. I think the home buyers "that look at a vacant home as an open palatte" are few and far between. They are the ones that have creativity BUT those home buyers only make up about 10% of the total home buyers!!! Not great odds. Wouldn't you rather have 90% of home buyers interested? It's is all about "marketing and showing the best home" as John stated. As far as the home buyers turned off by the current decor....If it is done correctly with SCALE, BALANCE, COLOR and PROPORTION....as well as ORGANIZED, CLEAN and FREE FLOWING areas there shouldn't be anyone "sooooo turned off......that it limits their view" That too is a small minority or a bad stager. Hey Janice! 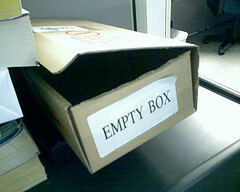 I loved your analogy to the empty box! If you don't mind, I'm going to use that in the future. I have been trying to get the realtor/seller to see that without furnishings, the typical buyer cannot visualize the scale of furniture that will fit in the rooms. They also may not know what the function of a room might be. The other point that I like to make is that once a potential buyer has toured the vacant property, you have lost that audience and they will not be back even if the price is lowered because nothing will have changed except the dollar amount. Val, Great point "you have lost that audience." You are so right!! FIRST IMPRESSION is very important. Only savy creative buyers and RE Investors will see the potential in vacant properties and will try to get a reduced price. Let's CAPTURE the MAJORITY of home buyers to PAY TOP $$$ instead of attracting the small minority looking for a house on SALE!!! Hi Jan...Thanks for the empty box analogy. I listed my home two weeks ago Friday and two days later my wife and I accepted the offer. We were successful in selling an empty box quickly but I have to wonder what if we had had it staged. Congratulations on the sale of your home! Yes, I think we will always wonder "what if"!! We "what if" a lot choices in our life and are always trying to find the best solution. Thanks for reading my blog. I am working with a client right now that has a vacant house, completely remodeled and beautiful I might add. They want to keep their costs down so I am not staging the whole house. Just some key areas, kitchen, family room, DR, LR and entry foyer. The master I am just putting bed and small table and nice towels in baths. When costs must be kept down what else would you suggest..